We are extremely fortunate to have a highly skilled team of artists, technicians, and supervisors who constantly strive to exceed all the expectations of our esteemed clients. 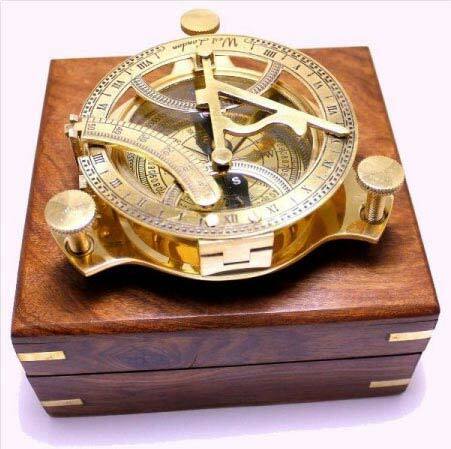 We craft our Nautical Sundial as per the set international norms and quality standards. With an exciting range of color, design and pattern, and the pocket-friendly rate, we are able to please or customers. Though we are a Delhi based manufacturer, exporter, and supplier, we ensure corrosion free Nautical Sundial to all across the globe.